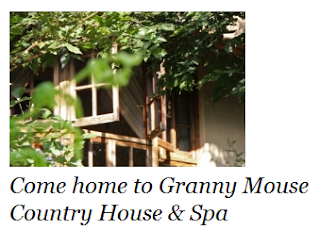 Granny Mouse Country & Spa, situated in the KwaZulu-Natal Midlands, has embraced various digital platforms. Visitors past and present can keep up to date with what other people have to say about Granny Mouse Country House and Spa by visiting its Facebook page, following it on Twitter or checking in on TripAdvisor. "We have taken full advantage of the fact that social media has become the number one place for giving and sharing opinions, and we enjoy the opportunity to build an on-line community where people can experience Granny Mouse Country House and discuss those experiences with like-minded travellers," says owner Gill Bowmaker. The venue has its own dedicated mobisite, accessed via a QR Code. What's more, those who are considering Granny Mouse Country House and Spa for a wedding, conference, or even just a holiday spot, can enjoy a preview of the venue by watching its YouTube clips. Gill explains that one of the chief reasons for adopting technology to this extent is because it is in keeping with Granny Mouse Country House's eco-friendly outlook, enabling the venue to communicate with guests without the use of paper. A comprehensive range of i-brochures have been developed expressly for this purpose. This example of a South African business utilising Social Media and Digital Marketing to promote themselves is proof (if proof were needed) that where you are in the world is no restriction. These technologies are available to everyone, anywhere. And I'm glad to see that Granny Mouse Country Spa are using nearly all of the Recipe for Social Media Success.